A minibus charter is a great choice if you want to enjoy your Singapore getaway. Although there are other transport options, minibuses as well as maxi cabs are becoming more popular. 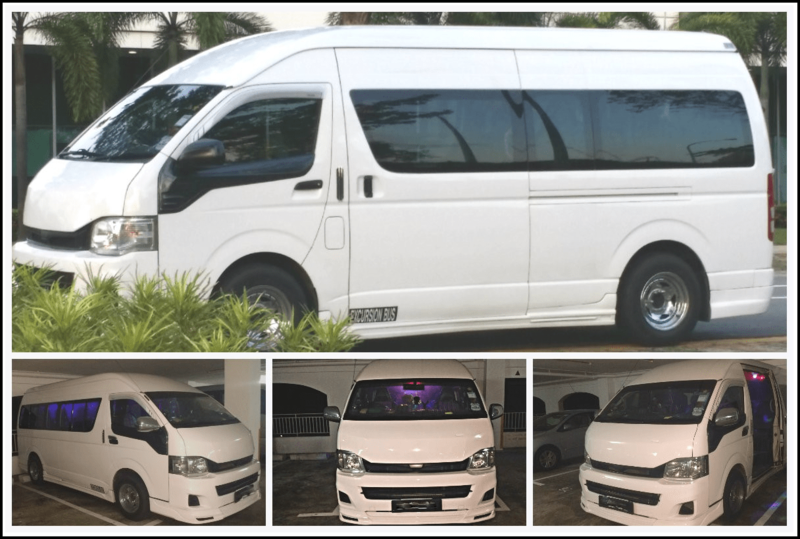 Travel experts and SG tourists highly recommend minibuses for rent due to their remarkable features. One of the top reasons why minibuses are highly preferred is its passenger capacity. Now you can travel to different landmarks and tourist attractions in SG with your family, friends, or colleagues. Mini bus charter services are ideal for larger groups of tourists or locals that are planning an exciting and hassle-free excursion. As the name implies, a minibus is bigger than your typical vehicle yet smaller than huge buses. It is therefore the right size with the most appropriate passenger capacity. The ideal accommodation is up to 7 seats but there are also varieties that have less or more. It depends on the number of persons in your group and the company will provide the perfect ride. All you have to do is give the salient details such as your scheduled date of travel, number of passengers, and other preferences. Contemporary minibuses have innovative entertainment packages. There are models that are fully equipped with LED or flat screen TV, DVD player, MP3 hookup, and so much more. You can request for a particular multimedia amenity depending on your travel needs. Some corporate trips could arrange for their needed facilities in order to have a productive and hassle-free business tour in SG. Today’s minibus selections have a wide variety of trendy designs with spacious interiors. There is enough legroom to avoid cramped spaces inside the bus. You no longer have to deal with long rides and body aches because you enjoy large plush seats with reclining features. Interiors are also upholstered and carpeted depending on the type of unit you arranged for your trip. The good news is that you have the luxury of choice to select and pick the best ride for a memorable adventure in Singapore. There are other minibus units that are fully equipped with special features. Most charter companies provide other services such as wheelchair and bulky item transfer. These units are designed for special passengers particularly PWDs and the elderly. You can also find mini buses with larger and separate luggage compartments for bulky items and equipment. Talk to the service provider if they incur additional charges and fees. Going around Singapore is one of the best plans you can have every year. There are remarkable tourist spots to explore and the weather is excellent for trips all year round. Make sure you have the best worry-free SG getaway today. Hire a minibus charter service and experience the amazing difference. This entry was posted in Mini BUS Services. Bookmark the permalink. ← How To Take Advantage Of Maxicab Services?